A story of Trunam Capote a writer who after reading an article in the newspaper of a crime story,Was motivated to investigate the story and became part of the investigation why did these boys murder the kanas family?He travels to Kansas with his partner to research a murder case for his new book. Soon, he shows compassion towards the killers and develops a relationship with one of them. His relationship with Nelle Harper Lee, Yes the author of “Killing a mocking Bird” is shown how they were such good friends and would support each other. The investigation of the crime helps Truman Capote to introduce a new style of writing and the nonfiction novel, which is simply putting a true story into the form of a conventional fiction novel and thus his most well known work in ‘In Cold Blood’ was published. 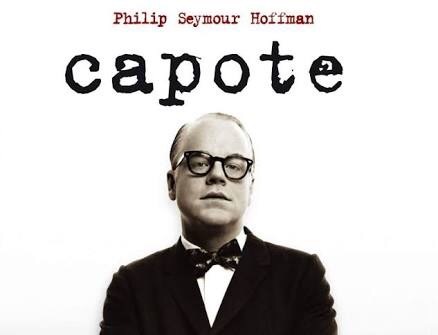 Trunam Capote is also known for writing “The Breakfast at Tiffany” first as a book,Then as a film starring Audrey Hepburn. Capote based the character of Idabel in Other Voices, Other Rooms on his Monroeville neighbor and best friend, Harper Lee. Did you ever read her book, To Kill a Mockingbird? I’m a character in that book, which takes place in the same small town in Alabama where we lived.